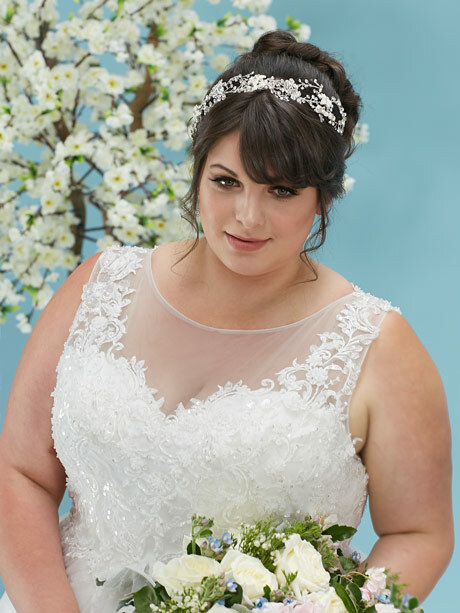 Made for a queen, the Plus size long lace gown Victoria sets her sights high. We just can’t stop staring at this beautiful skirt that’s just full of flowers lace enclosed within the layers. It’s definitely a stop-and-stare-worthy look that’s fit for your royal occasion. Featuring a beaded lace bodice with sequins, pearls and diamonties. Your guests will be able to witness your sparkle from every angle as you pass them by. Their eyes will glisten at the sight of your dress as you walk down the aisle, with the sheer organza mixed with lace all around your skirt. The Victoria will simply enhance the beauty that’s already inside you. With the 40-inch-long train flowing behind you, your bridal gown will look stunning from both the front and the back. This ballroom style dress also hides your shoes, so feel free to wear a pair of flats to stay comfy all day long. You may even choose our bridal thongs as your footwear of choice! The Victoria also features a sweetheart tulle neckline and a lace up the back. Maybe your worried about the train we can easily add a detachable bustle during alterations. If you would like more arm coverage with the addition of a short or long sleeve that can be done on this gown too. Lets keep it simple with minimalist bangles and our crystal flower bridal headband. If you’d like, you can fully commit to the royal look, with these royal wedding earrings. The delicate design elements of the Victoria gown lend themselves to a pastel theme. Maybe pastel coloured bridesmaids dresses and wedding flowers. For a full ballgown effect a petticoat underneath Victoria will take this skirt from an Aline to a full ballroom style. 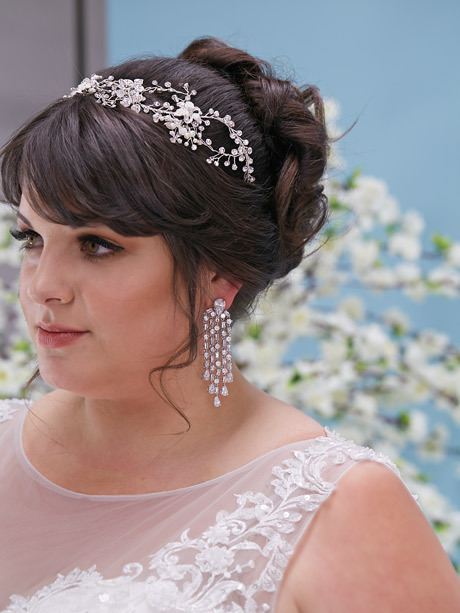 Don’t hesitate to seek help with alterations in store as we want you to look and feel your absolute best on your special day. 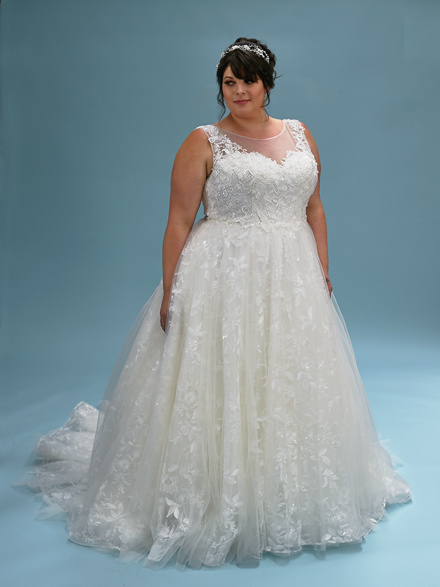 Designed in Australia by Plus Size Perfection Bridal. Feel free to call or email to make an appointment and to request to try this dress on today, or any of our bridal collections!